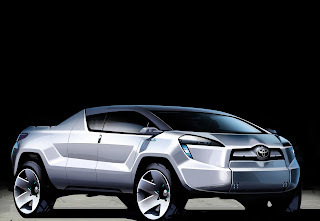 When Toyota previewed the A-BAT (Advanced Breakthrough Aero Truck) concept in 2008, it was nothing other than a design study. Sitting upon a uni-body architecture and powered by a hybrid powerstation, last year saw the first rumours emerge, suggesting the compact light truck will be greenlighted for production. Since then, the ute was on-off for production. Fast-forward to today and the latest suggest it will hit retailers soon. Although there has been no confirmation, the vehicle would sport a Scion badge and would hit the market after 2014. Power would come from a petrol unit, although a hybrid variant would be offered later. 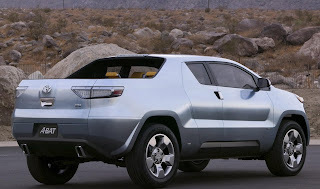 Numerous weight-saving measures would be expected, however, competitors like the Honda Ridgeline, Nissan Frontier, and Toyota Tacoma are posting a sales slump as the market for light-trucks slowly disintegrates, thanks in part to increasing fuel prices. If confirmed, the vehicle would wear the xT name-tag and would return market-leading fuel economy.